Administrative liability is one way to preserve order in the state and to subordinate citizens to the law. The Commission of any offence which causes material or moral harm directed at the citizens or the government is called an administrative offense. Go to the official website of the regional state traffic Inspectorate and sign up. Then go to "online services" enter your personal information in the personal account. Now you can receive the necessary information about the administrative violations and penalties. This section displays all earnings fines, paid and unpaid, and all numbers issued rulings. 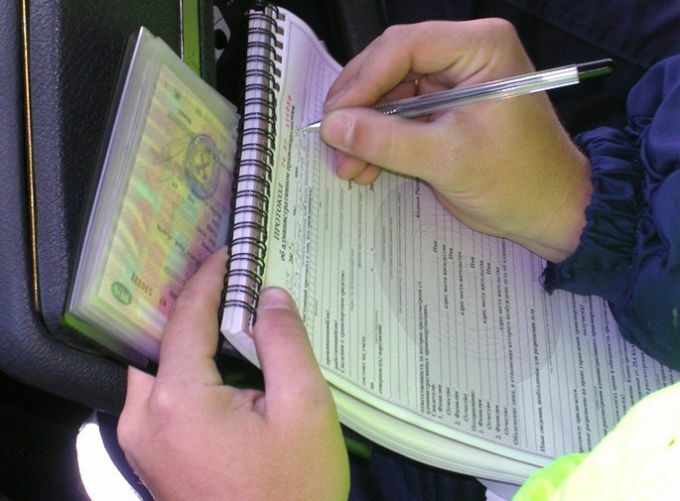 Carefully check all the columns so as not to miss important information about the status of the fine. Print the receipt for the payment of your fine and refer it to the Bank cashier where you will be able to pay the needed funds, also payment can be made through Bank self-service terminals. Check whether the the fine written off automatically after the repayment of debt or still appears on the website of the state traffic Inspectorate. If not, call to clarify all the nuances in the DMV. This is to ensure that staff double-checked the database and manually made is not displayed automatically changes your evidence of payment of administrative fines. In case of wrong actions of the operator of the Bank will refer to this fact in the special organs of the protection of consumer rights. Remember, the traffic police sends summons to the vehicle owner at the address of his residence. And if you do not live at this address, then periodically check the mail at the place of your registration, this will help not to miss the information about penalties. Be careful, paying fines through terminals, many of them charge a Commission for the operation. This leads to the fact that the money is not fully credited hibri and the penalty cannot be automatically deducted. Internet service will show that the penalty is paid only when the money arrives to the account in full. Late repayment fines or ignoring leads to the transfer of the case to the court and appointment of administrative punishment in accordance with the laws of the Russian Federation about administrative responsibility.